One of the founding members of the People’s Democratic Party (PDP) and a major financier of the party, Emma Ejiofor, on Friday, in Asaba, Delta State, left the party for the All Progressives Congress (APC) with his supporters. Ejiofor told journalists that the decision to drop his membership of the PDP was ‘painful’ but regretted that the party has drifted drastically from the vision of the founding fathers, lamenting that the clique that hijacked it do not reward loyalty. His words, “I am taking what people termed to be hard decision which is dropping my membership of PDP and taking a progressive step of associating with APC. I funded PDP from birth till this moment. “When we formed PDP, it was with great minds of progressive ideas but what we are seeing is a clear deviation from those progressive ideas. “Most of the founders have left the party because our expectations are not being met. “PDP has become a clique of wicked people who don’t reward loyalty, the reward system in PDP is very bad. “A situation where if you are given a position today, you become a leader, the contributions of others are not recognised is a bad. According to him, when Solomon Lar was made national chairman of the party in 1998, “the first N10 million he started with was provided between me and Rochas Okorocha. Where is Rochas today? 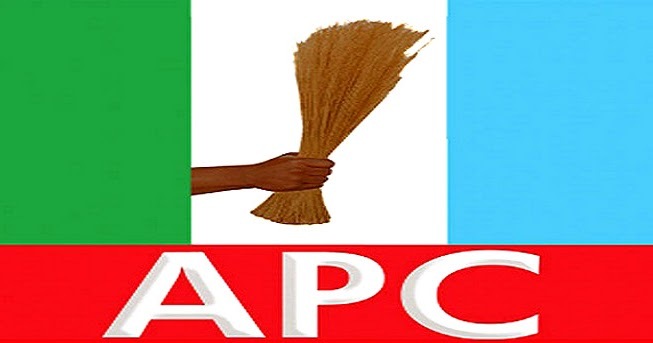 Ejiofor said his entrance into APC was to join forces with the progressives to rescue Delta State from a clique “called GDM”, adding that whoever was not a member of that clique has be fenced out of the system over the years. “From 1998 till this moment, I have been involved in everything that has happened in PDP. The mind now is to rescue Delta. People that formed PDP in this state like Prof. Oyovbaire were never recognized because it was a clique called GDM. “It was of recent that Oyovbaire was recognised and appointed into government. If you watch closely, if you are not a member of that GDM, you will not be anything in this state. So for us to move, a system has to come to down for another system to emerge. “I was not a member of the GDM, I was of the UNCP stock. UNCP was a larger stock and I was a governorship aspirant of UNCP. You listen when Uduaghan spoke, he said there is the Ibori dynasty and the PDP dynasty, I belonged to the PDP dynasty. But if you watch, it is only those from the other side that are allowed into the system,” Ejiofor stated.